I asked him how things were going and got the update on how the earlyvangelists were using the product. As I had heard, they were ecstatic. But Bob said he was worried he hadn’t found the right customer segment yet. “I’m not sure I can get all of these guys to pay me big bucks,” he said. “That’s why I stopped coding, and I’m spending all my time out in the field still talking to more customers.” “What does your VC’s say you ought to be doing?” I asked. “Oh, he hasn’t had much time for me, his firm almost never does seed deals. It turns out I was an exception.” Oh, oh. If you haven’t read them already you should read “The Teachings of Don Juan” series by Carlos Casteneda. Among many other lessons, he espouses how useful the contemplation of death is in terms of making priorities. I’d like to meet Bob — I’m an early-stage entrepreneur selling an insight-as-a-service product to top retailers, and I’m a developer. Perhaps Bob and I can help each other out. Can you make the introduction, please? It’s ironic that “Bob” had a problem that is usually associated with Large Enterprises, dinosaurs… They are afraid to take risks, they want to be sure everything will work out correctly before they invest time and money. That is usually what small startups do best, they jump in and try things and see what works. 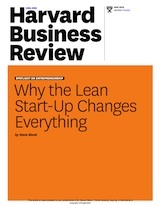 Once they prove it works, large enterprises buy them and scale it up. Bob’s thinking was totally in line with a large enterprise. So he understood his customers way of thinking, albeit too much. Bob’s issue may also be caused by the way the media focuses on the “BIG” superstars. If all we read about is how great Facebook and Twitter are, then we think we have to be as great as them. That kind of thinking can paralyze a startup the same way Bob was paralyzed into thinking it’s an all or nothing game. Fear is the first thing you must overcome, and the quote from Steve Jobs is a great way to think about it, and realize your fear is just imagination working the opposite way it should be. Well by your comments you are a special person very few people can make those types of statements. They sit on the sidelines or do the 8 & hit the gate working for others with vision. As to the young inventor maybe it’s his first time at bat and when he gets a little more experience he might look back and think he should have listened to you. Who knows there is still time or at least he might move faster next time around. > realize your fear is just imagination working the opposite way it should be. No, working exactly as it should. We simulate the future in our heads, and if the simulation comes back “danger” then we feel afraid, and we don’t do the dangerous thing (and if it predicts good, we feel excited about it). That’s what imagination is *for*, modelling the future to guide us away from bad things and towards good things. It’s not working wrongly, it’s working properly with rules you don’t want. Don’t push through them, dig them out and find what you’re afraid of and what bad things you predict, and change the rules so you aren’t afraid. Failing does not haunt a man as much as regret. One of the hurdles of the “Fail Faster” approach is that you must overcome your fear of failure. If you don’t do this you have succeeded in increasing the odds that you will “FAIL Bigger” at a later date. Better to take the leap to iterate and learn, and do so as quickly as required. Take the risk and let your customers tell you what needs to be improved next. Don’t procrastinate. Do it. Mr. Blank you mentioned in the post that one of the bad signs you noticed was that “Bob started hiring second rate developers. At best they were B- players.”. As a non-technical/programming aspiring entrepreneur I was wondering if you had any tips for how to find the best developer talent. How do you go about looking for and being able to recognize the best talent? How would you differentiate the B- talent, from the A talent, from the A+ talent. I do know that two things could make this an easier process, 1. looking at institutions with top computer science/engineering programs, and 2. bringing on board a good technical cofounder (which I’m still in the process of looking for) who really understands what to look for, but I was just wondering how else would I be able to know? Thank you for your posts, they continue to add a great deal of understanding to this experience for me. I think you envision your ideal segment which might not be the earlyvangelist. Another segment might popup and if you are stubborn enough you need somebody to shake you around to realize this segment is good enough to get you started. Clever guy who uses his knowledge to create a logic for himself that takes him towards failure. I don’t think Bob was as afraid of failure as he was afraid of success. The symptoms are the same, both lead to paralysis and neither has an easy fix. Aside from that, this story is eerily similar to one I’ve experienced lately. So eerie that I wonder if “Bob” is the founder of the startup I worked for as a developer, for over a year (yeah, his side of it is we weren’t good enough–to follow his ever-changing vision for the product). This was a single founder, refused to share any equity, only very begrudgingly, reluctantly, after months & months of negotiation decided to do so, and had no clue what software could/could not do. Not ‘just non-technical,’ but really truly refused to learn his own product. If my founder really was Bob, then he also was lying because he never said he’d received seed funding, which seems out of character for him, but I suppose anything’s possible. I’m thankful I finally got out when I did. Thanks for the instructive warning/horror story! Gave me chills. Steve: Don’t just give up on Bob. Yell at him if you need to. Help him work through his uncertainties. if only bob had the chance to meet a co-founder, he wouldn’t be worried about the business development part. i agree, not everything has to be perfect. it’s never been even for very profitable companies. I think one of the real problems with the business model canvas it that it presents a more fully developed business model than any startup will be able to realize with its first customers. I worry that it encourages entrepreneurs to continue to elaborate and search for a better model instead of accepting a simpler one that’s good enough to get some early paying customers. This will enable, over time, a more fully realized model. I have had several entrepreneurs show me a business model canvas that they wanted to further experiment on, or tell me that they needed to develop one, when they had deals that they could close. I think you should reconsider pushing it so hard as an early stage tool. @skmurphy Yes. Absolutely. This was exactly the problem with my “Bob” … His primary thoughts were of not being sure his customers would buy and continually pivoting; all of this when he had a winner on his hands–they were all drooling over this ‘aaS’ product. Another example of trying to maximally satisfy, not just satisfice (yes, it’s a word, coined in 1956 by Herbert Simon)! Agreed. I see it as a valuable tool, but in most people’s hands it is a delaying mechanism. A business model that is untested is like a lottery ticket; you could be a millionaire in waiting. I’ve launched three start-ups myself, but many, many more for our customers. The customers that come in with fully completed business models are the ones that failed. The flexible ones win. Agree and therefore this post. Like any tool it can be used badly. As sad as this story is, it is just as well. Bob’s leadership wasn’t scalable. BTW, one of my favorite VCs says that fear is his job. He wants the entrepreneurs he invests in to be fearless. Also, isn’t it a VC’s job to determine whether the person they are investing in has the ability to lead a company? Some take this a step further in providing the support needed to build the leadership team, and coaching for the founders. I really admire those VCs. Bob’s problem was a lack of leadership on his part. To strike when its time. To be a leader and make that big decision as opposed to delaying that decision. A project engineer can take a great idea and take it down the field, but not everyone is a great project engineer and leader combined to develop, path the way, and make the big decisions, striking at the golden opportunity. A teachable moment for ‘Bob’, though he may find happiness as a project engineer and that is more than cool. I’m guessing he is an MBA from your business class. MBAs get taught too much of CAPM and IRR based financial risk mitigation junk and that draws out any entrepreneurial spirit left in them. Good story. I truly believe you can’t change a man from who he is. Even with a clear plan and early success, he will always be NOT certain if he got 100% right. And never will. I don’t think it’s the lack of nerve in this case, but it’s his characters that make him staying in one spot. He’d be better doing something else, anything other than startups. I don’t believe the statement ‘B’-players ! Any company that has been through the mill of product development knows B-players are fine as long as they are driven and guided by an A-player who has ‘instinct’ – lead by example and take responsibility !! Deferring responsibility to a selection list is not the core issue, a factor maybe, but the ‘core’ matter is far deeper – unsafe driver on the road! Living well outside the comfort zone of mere mortals is a skill. With all the guttural feedback loops that push hard against the mind. Metrics dumb down this entropic parameter, they consume space that is required for manoeuvring once you are sat in the drivers seat of your start-up and moving on the open road. Metrics provide a crutch and safe harbour to what is an essential requirement of start-ups – the ability to react without thinking because it’s instinctive. Drop the Tom,Tom and look at the horizon – your markets somewhere over there. Glance at the metrics, and then roll over them because it feels right, and because you are spatially aware of how it feels to be going in the right general direction. At what point do educators break the umbilical? Before or after start-ups have instinct? It’s a serious question. Would you let a driver, get into a car and go on the open road if they did not have instinct – or poor judgement! Would you let them do that to themselves – knowingly! Drop the metrics map and put your backside on the crate that sits on the floor-pan, that is your business idea, feel the bumps of the road you travel, glance at the signs, know how to do just enough to keep going forward to yonder mountain, >> drive – don’t park up and look for directions because your lost or unsure! Better yet, watch – ‘The World’s Fastest Indian’ and realise – even a cork will do, to get you across the line! This is so true – all of it – and unfortunately Bob just wasn’t ready for the open road. Do I think he is teach-able? Hard to say but if not, what a shame he is so committed to the directions he forgets where he is going, which is all so common and which is sometimes ignored by VCs hoping SOMEONE will turn the car around. It’s teachable – a VC makes this call / or not. There are good and bad VC’s. Educators also make this call / or not. The shame of it is – often both groups put ‘drivers’ out onto the open road of business, having slapped a certificate of fitness on the window screen (usually an endorsement), then pat themselves on the back, turn away for 5 minutes and wham! …. next driver steps up to the plate … ground-hog day all over again, look for the VC’s and Educators ‘RK’ factor. Good points – but IMHO is a good idea and youthful energy that much of a draw to VCs when those “drivers” are so inexperienced that they are like children that can’t be trusted? This seems to be happening more and more and I guess for VCs it comes down to risk vs reward. Spend time you don’t have coaching, guiding and teaching with the chance there is a shot at the finish line or pull out early and hope to make it as a passenger. I don’t envy VCs at all as this is a tough choice. The sad thing is parents don’t let kids climb trees any-more, what chance have they got if they don’t know what a fall feels like, and then how wonderful it is to be able to climb – freely, under ones own power! In the West we are guilty of teaching people to unlearn! 1) First, I think we can all agree that there is no excuse for hiring poor engineering team and dropping the ball on product development. Was there any hard evidence for or against this statement? Did he float any actual proposals with features / commitments / $$$ to the CIO and what was the response? Did he miss the signs of value he could capture or it became clear from his customer development process that there is no way he’ll be getting any 7, 6 or even 5 figure checks? Unfortunately there are plenty of products and markets in which you’ll get lots of so-called “prospects” telling you how much they want your product until you try to actually get them to pay. “Insight-as-a-service” sounds like something that overlaps with tons of existing systems. Did the CIO / users find much value beyond getting a shiny new toy? What was in the vision / product that could extract real $$$ from that CIO? Were they looking to replace any existing processes / systems? 3) What was the actual amount raised and the burn rate? How long would it take to run out of money and what “next round milestones” were agreed upon? Unless there was a clear path to getting next round with “no revenue” maybe Bob’s behavior was not so irrational. Especially if he was not getting his calls returned by the VC. 4) Finally as we put aside the concerns about pricing power and cash runway, seems like Bob did not exactly delight the CIO. This could be a black mark against him, unless CIO was not serious about spending money. 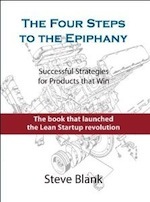 Is it possible he said he loves the product simply because it was referred by Steve Blank? The real test is closing a cold customer solely on the merits of the problem / solution fit and that’s where Bob says he has re-focused. It is hard to make judgement calls without doing real due diligence, but it is not clear from the post how the above questions would be answered. Especially the findings from the actual proposal / pricing process. No it’s not >> come on, …. start up’s move at pace, and require a head for it – on the back of table napkin mathematics and strategic thinking whilst spinning on a dime !!! How long does it all take – minutes & seconds !!! Strategy in a ‘nutshell’ = how does one get from A <> B ? Firemen are trained to react, police to armed threats, what’s wrong here is no training to build an instinct for their craft – aka…. risk! Yes, Bob’s stutter step was akin to a rookie fund manager botching his first big client. Lessons’ learned and you move on. How do you know what actually happened? We only have one anonymized account from Steve based on how many interactions with the founder, the VC and the CIO? We have not seen the actual product, the actual use case and the actual proposal / pricing conversation. We have no idea if CIO was actually willing to pay for it or was simply excited to try a product referred by none other than Steve Blank. I see people excited about products for the wrong reasons all the time. Bottom line: If the product was as important as described Bob should have been able to negotiate a purchase order with just a crappy prototype and committed milestones. Otherwise, the old adage “buyers are liars” applies. It is funny how many armchair generals here are ready to jump to conclusions without trying to put themselves in the entrepreneur’s shoes. I don’t – I am reading between the lines 😉 One takes the view Steve’s rational for crafting this story is linked to this intangible quality “…The conversation was starting to make the hair on the back of my neck stand up …” – hence me trying to focus in on this one aspect, and to tease the conversation along by giving it a name >> ‘instinct’. No arm chair general here – 20 + years of ‘down and dirty’ product innovations, mucking in at the engineering level, numerous patents, and listening to stories like Bobs & working with great teams – still loving it. I’m a semi-retired but a happy camper! Instinct, instinct, … don’t leave home without it. For all the metrics in the world today – why is Europe teetering on the edge of a cliff, the USA staring at a 14 Trillion mountain, people are paralysed, unable to make decisions even with the metrics to hand. We are in a very polarised market space right now torn between information and the activity of doing – tomorrow we will wonder why we spent so much time looking at the facts (when we plainly ignore them anyway) instead of just acting when it mattered. My reading between the lines is that the CIO did not put the money where his mouth is. You really cannot live without that product? Write a purchase order or don’t complain the company is not focusing on your requirements. 1) I am looking for a Magic Unicorn. 2) I really love your current prototype of this Magic Unicorn. Love it! 3) It is worth a lot to me. I promise to pay you $10M for a site license to use the Magic Unicorn just once it becomes Just Perfect. 4) No, I will not pay you a dime until it is indeed the Perfect Magic Unicorn I always wanted. Why should I put skin in the game and fund your experimentation when VCs can pay for my free ride. 5) Wait, why did you stop developing your product? I thought a smart engineer like you can make Perfect Magic Unicorns all day long? I am going to go complain to your investors. Probably the biggest lesson here is that everyone needs to be on the same page on how to identify and fire this kind of customer. Yep, ‘instinct’ would have sussed out the CIO – and then Bob could have responded in ‘kind’ – either way! These reflection moments, (where one needs to pause, analyse and reflect) are constant – you have to be able to do this on your feet. Bob should have offered up a new plan to Steve – on the spot, over the cup of coffee … using the opportunity to bounce off the pivot, using a verbal diagram, and Steve should have been wowed ! Instead it was a case of Steve seeking out a parked car, (5 months) and a driver, petrified of getting back onto the highway – thinking it’s now a Citroen ‘2CV’ business model he’s driving !! Get over the fear, swap out the engine, throw in some new fuel and get moving. Or you’ll start looking for unicorns ! (1) The work that the early customers liked so much Bob did with his own hands. (2) The equity funding Bob got was only a seed round which does not permit much in hiring. Result: For the next development work, that must also be done by Bob. The equity funding and hiring have taken Bob away from doing the crucial work that he and only he can do and, instead, spending time hiring and working with people who can’t do Bob’s work and whom Bob really can’t afford to pay. Sure, the implicit plan is for Bob to (1) take on a co-founder, (2) hire one or two ‘ninja’, ‘rock-star’ developers, spend the seed funds quickly, show some progress, raise a Series A round, hire more people, get to break even, raise a Series B round, etc. With this plan, Bob spends his time not doing more of the work that brought success so far but managing and fund raising and betting all his good work to date and the good opportunity on the chances of Sand Hill Road writing a Series A check. In particular, Bob gives up equity and control to his co-founder, ninjas, and equity funders. Net, instead of doing the work that clearly needs to be done and that he is demonstrably good at, he is being asked to do something quite different and to leave the needed work, including much of the direction of the company, to others. In an airplane analogy, you are asking Bob to start to taxi from the hanger when he can see that he will run out of fuel before the end of the takeoff roll and can only hope to get some more fuel just before he runs out. Background Point 1: All across the US, from crossroads to villages, towns, and the largest cities, entrepreneurs start and run successful businesses with no equity funding, co-founders, or ninjas at all. None. Zip, zilch, zero. You depend on these entrepreneurs for mowing grass, pouring concrete, repairing roofs and plumbing, installing shrubbery, paving sidewalks, driveways, and roads, keeping cars and trucks running, serving food, supplying hundreds of thousands of different products, etc. For more, at each of the larger bodies of water there are yacht clubs, and at those clubs the boats from 35 to 150 feet long are owned overwhelmingly by people who never got a penny of venture capital but, say, are doing well running, say, 10 gas stations, 10 fast food restaurants, 15 pizza carry-out shops, 20 lawn mowing crews, 5 medical testing laboratories, 20 rental houses and 5 apartment buildings, 7 strip mall shopping centers, nearly all the dry cleaning shops in a town of over 100,000, etc. Bob’s opportunity can be at least this good; at least this path is open to him; taking this path has high promise of success and certainly is not failing; Bob’s opportunity is still better and should not be made worse. Background Point 2: There is, in life, a simple, blunt, stark fact: A small, a very small, only a tiny fraction of the population really can make a successful startup work. Clearly Bob is such a person, even if he remains the only ’employee’ for another few years. For Bob to bring in and depend on a co-founder, various ninjas, and various Members of the Board clearly threatens ‘regression to the mean’ and dilution and destruction of what is rare and crucial that Bob already has. In particular, the venture partners rarely have relevant qualifications nearly as good as Bob has; depending on venture partners for ‘coaching’ is a fool’s errand. So, here is some of what Bob can do: (1) Fire his hires and return to just one person and otherwise spend his available cash quite slowly. (2) Get back to doing the work that needs to be done. (3) Get his company to REVENUE and, thus, as a one person company, real PROFITABILITY. His current work is so good that some of his current customers will pay even for the current product or wait for the better product and then pay, and apparently there is no shortage of additional target good customers. Then, once Bob has profitability, he can consider his path of growth. I would hope that he would be able to retain the advantages of continuing to own all his business (except for the equity for the seed round). People running fast food restaurants do it, and Bob’s opportunity is better. The it’s just Bob’s business: He knows all the code because he wrote it all. He knows all the customers because he got their accounts and serviced them himself. The ‘vision’ has proven to be good, and he understands it because he created it. He deposited all the checks himself. He signed all the checks himself. He thoroughly knows his business, better than anyone else. As he has shown, he knows how to make good decisions for his business, and with his control he is able to make those decisions without distractions. Bob is on a much better path than some guy doing well growing to 10 fast food restaurants. So, Bob is on a good path. VCs, co-founders, and ninjas are something much worse for Bob. Besides, how would Bob, or anyone, really tell who would be a good co-founder or who is a ‘ninja’ developer? Bob isn’t doing anything wrong; instead, Bob doesn’t want to pursue vast projects with half-vast planning or to take a long walk on a short pier hoping that there will be a boat at the end when he needs it. He wants to keep control of his business and not turn it over to people of unknown qualifications and motivations. And he wants to keep HIS ownership of HIS business. What Bob can do is much like a guy trying to own 10 fast food shops except better. If Bob gets to, say, $5 million a year in revenue, then he can see if he wants to go for $500 million. For now, Bob’s doing fine. The timing of this post couldn’t be better, I myself am starting a new business and had second thoughts regarding budgeting but not anymore, when it makes it big I will not forget to attribute my decision to you, thank you steve. Do you mind if I use this as a quote “Watching an entrepreneur fail is sad, but watching them fail from a lack of nerve is tragic.”? So has Bob’s idea vaporised ? Or has the opportunity survived in another form? Idea’s rarely vanish, once out they cannot be simply popped back in the box, they get fused into the technium, and then people move in or re-invigorate the core of the idea into new context, which generally means VC’s move closer and in doing so the idea picks up opportunity momentum once again. I don’t believe this business opportunity life-cycle has even begun in earnest! IMHO 😉 It has had a blip !! Wheezed a bit, it’s contribution is still the same to the technium, it entered, now – how will it be consumed, and by whom? I don’t think Bob is in the wrong business !!! He is untrained in an aspect(s) of business, has not developed an instinct for risk or acting on triggers that pass in front, because of being unaware. One might say, ‘a duty of care’ was missing for Bob, from the VC and from those who opened the door of opportunity for Bob. Bob knew what Bob knew at the time of entering that opportunity doorway. Bob might be remiss in having mis-calculated what actually lay beyond that doorway. When Bob went mia, that duty of care kicked in !! But then what …. this story needs to have an ending – of sorts. From what I’m understanding, you’re suggesting that 1 powerful, valuable human being is responsible in some way for another equally powerful, valuable human being? Is Marilyn Manson responsible for Columbine? Are videogames responsible for war? Where’s the line for Duty Of Care? 😀 Were they opening doors, as it were? Anyway, either way, I love your faith in Bob, certainly, and I’ve done similar. I’ve also performed ‘Duty Of Care’ type services for people for many years and in many ways. I’ve… played both sides, as it were. I’ll reserve my takeaways from my experiences for another discussion, but I love the ideas presented in the article, and comments. Not at all – looks like you are trying to pin this on a deity, that’s way too easy – sounds like trivialising all peoples responsibility of staying aware when it matters, (particularly those with more life experience). I see it as a right of passage, especially when dealing with human endeavour. The line for ‘duty of care’ is – every waking second of the day! Surprise, surprise !! I am saying Bob wasn’t empowered with the right stuff before he kicked into this, but might have been. Faith in Bob, no – faith in myself – yes! So what happened to the company and product? Sounds like somebody should be running with it? I am very curious….and interested! Hi Steve, great meeting you at NYU recently! I don’t know if you got my follow up email, but I just shared this amazing article on WhatFailed.us! This is my first introduction to your work, and I blown away, Steve! Thanks so much for this. What a riveting piece of writing, and insightful beyond measure. Like many things in life, a balance of two sides is key, and I’ve always seen balancing the sides of testing/execution matches up nicely with security/boldness. Of course everyone has their own personal blend of these leanings, but open-minded awareness helps so much. I’m in the middle of re-launching + re-branding, myself, and have taken this story to heart. Thanks again. Knowling what to build and the ability to build a great product are two different skills. If you screw up on the first, you can always pivot espicially if you are a great developer. But if you never had the second skill you should definitely find a co-founder who does. Not getting this!! Wasn’t that last millennium? When teams sat in separate rooms divorced from their market space, and didn’t communicate across the cubicles, deferring to each others expertise !! Simple strategy – if you don’t know what to build ask people what they don’t like or want to see (easier head space to get too) – keep asking (means getting out of the building) and when you have a BIG long list make a scrap book of all that stuff – your world of blue water is not there – big surprise !! But it is everywhere other than that. Only build stuff if you feel that new space justifies the gut instinct to tolerate the act of burning cash. Put some credit cards on the barbecue and practice what it feels like. Then move on …. rely on yourself and develop those instincts first. 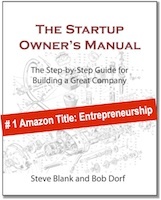 It does sound like Bob lacks some essential qualities of a successful entrepreneur. All startups in some sense provide a niche product. They cannot be average, run-of-the-mill, dime a dozen – or nobody will want to adopt the product. If you don’t strive for perfection, attract top talent, and create something remarkable, you can’t expect customers to be excited about you or your product. I think the hardest part of the lean startup methodology is being willing to put an unfinished product in front of customers. Someone who truly loves their product will have branches upon branches of insightful ideas and “necessary” features and want to see them all grow to a perfect fruition. If you don’t have this drive you will probably never make a great product. At the same time, it is important to try to identify a minimum viable feature set and get the early iteration going, even if it’s painful. And so you roll your sleeves up, suppress the need to preface ad nauseum, and show your customers the unfinished child. The fact that Bob was able to leave his product in this orphaned state for months is truly perplexing to me. It shows that he clearly did not have the drive to create a really excellent product. You bring up another great point – the centerpiece of your post, which is the need to seize opportunities. Now this may differ according to industry and customer segment but especially in the enterprise software world, every single customer is like a life line. If you have nothing else, a single one of these lifelines can sustain your company, give you the data you need to improve your product, and give credibility to your company so that it can expand in the future. To not treat each of these potential customers as a cherished gift and to fail to nurture such a relationship is a cardinal sin. All of these points can really be summarized with “Carpe Diem” as you have done. As an entrepreneur, you really have to love what you do and you have to have that hunger. If you take to sleeping, someone who does have those qualities will eat your lunch on their race to the top. Best comment on a very good post. Everyone is free to use his time or money on what they want, for Bob, his startup just wasn’t it.